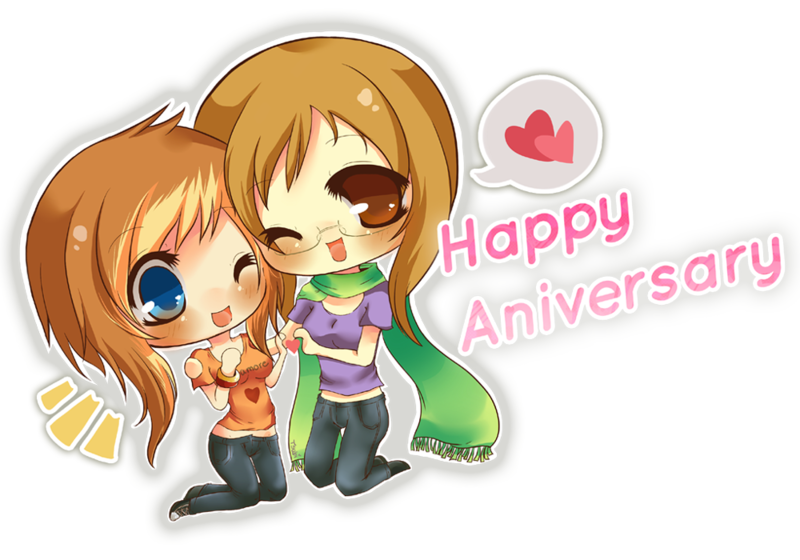 Well, when I wrote this we had just celebrated our one-year anniversary of relocating our domicile to Okinawa, and although it’s now over two months past due, I still thought it would be a good idea to do a “year in review” blog. 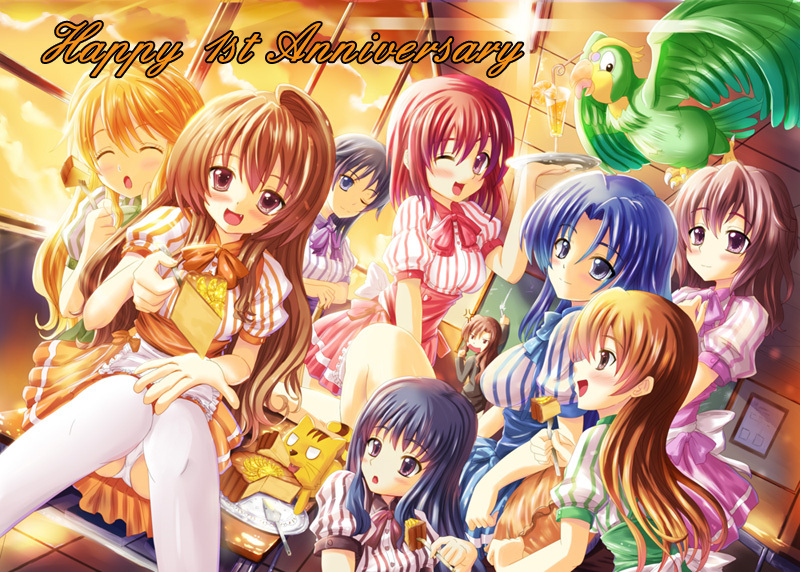 So, here’s an eclectic summary of the King’s Flirtations with the Far East to date (as of this past August), along with a personally favorite blog selected for each month. July 2013. Preparations for our overseas move. August 2013. Moved! Rented our Florida home and moved overseas with our cat! 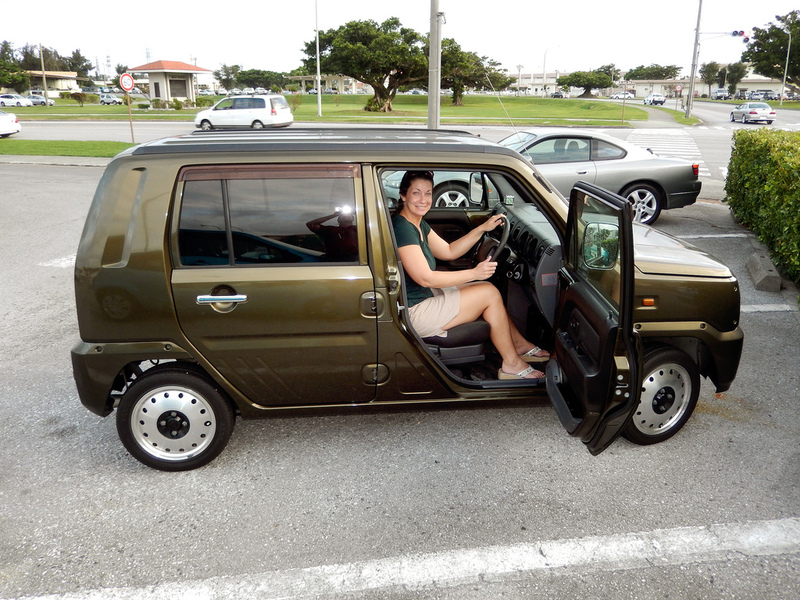 See Jody Drives Naked about used-car shopping in Okinawa. September 2013. Divine winds! Experienced something like 8 typhoons in two months. 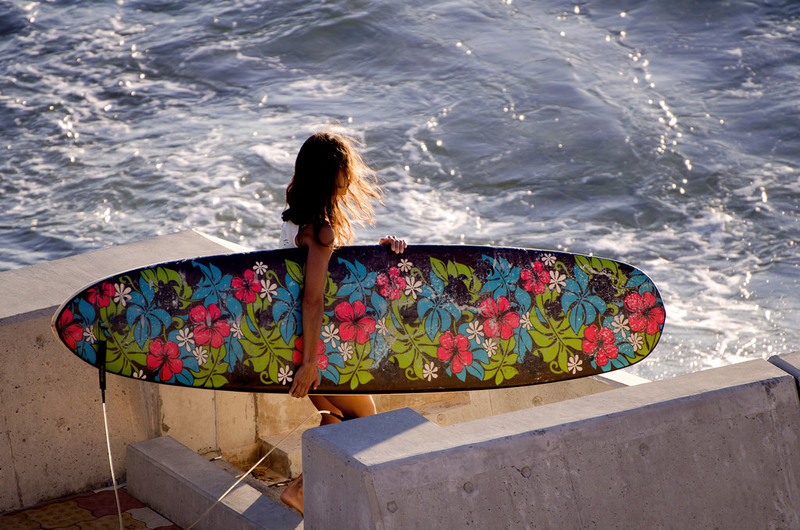 See Surf Nazis Must Die to read about a scuba diver’s angst with the powers that be on Okinawa. October 2013. Scuba Diving! Kevin becomes a PADI scuba-diving instructor! 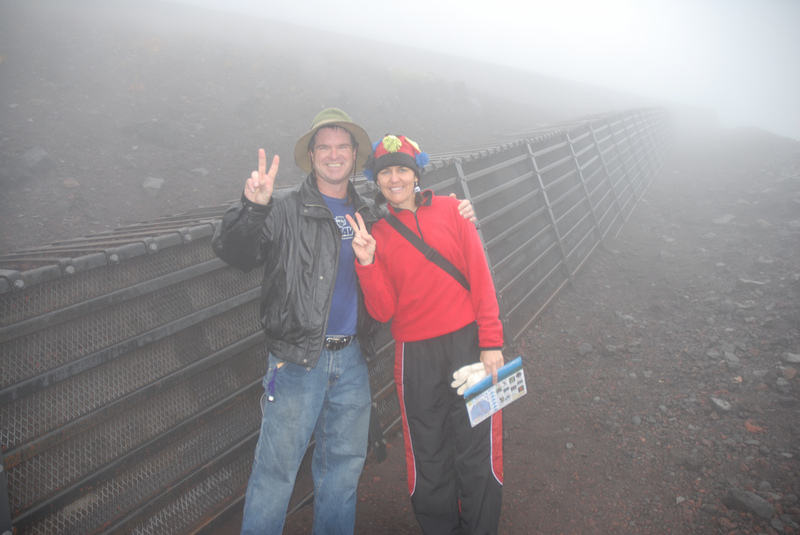 See Are You Breaking Up with Me on Mount Fuji for perhaps my favorite breakup story of all time! November 2013. 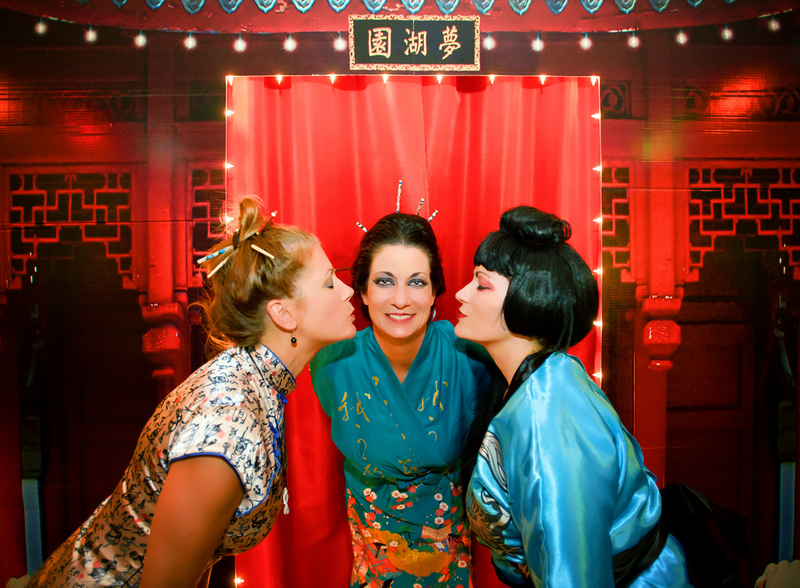 Jody’s birthday! Celebrated by exploring the northern reaches of Okinawa. 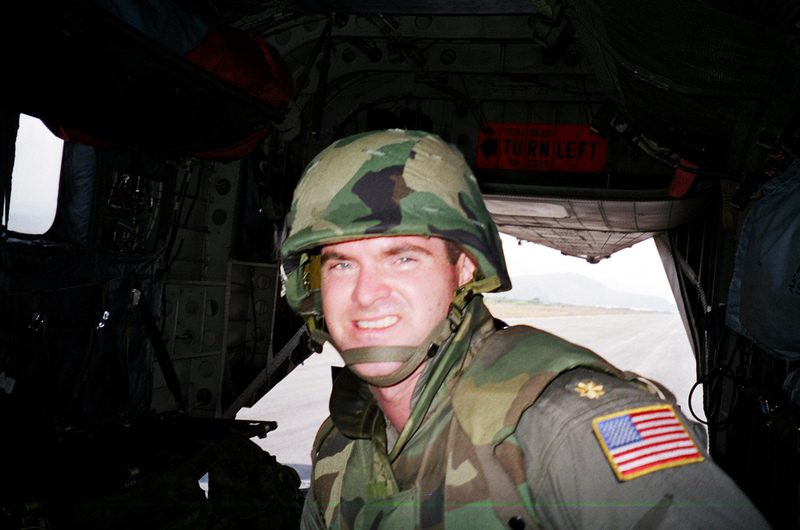 See Shipwrecked on the Island of Misfit Toys about my first foray to Okinawa in 1999. December 2013. Household goods! Our forgotten “stuff” finally arrives on-island. 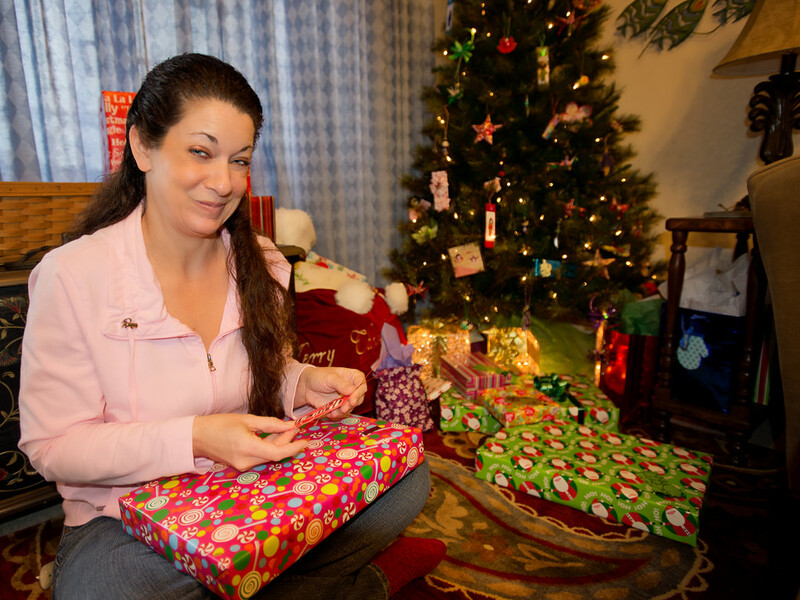 See Oh Christmas-Half-a-Tree to read about Christmas in Okinawa. January 2014. Kevin’s birthday! Celebrated by our first off-island trip to Kyoto, Japan. February 2014. Contracted! Dive the Blues Scuba gets well underway. 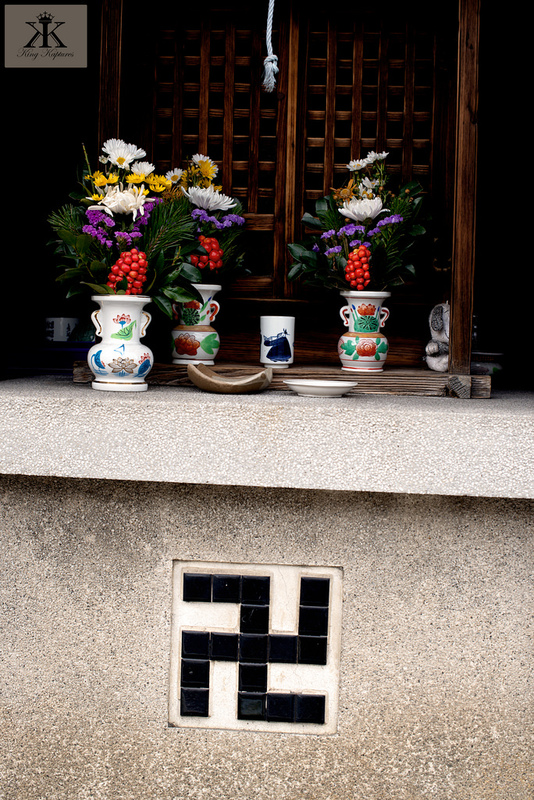 See Surprising Swastikas about an unlikely and unfortunate connection between East and West. March 2014. Earthquake! Friends breaking bad on Okinawa. 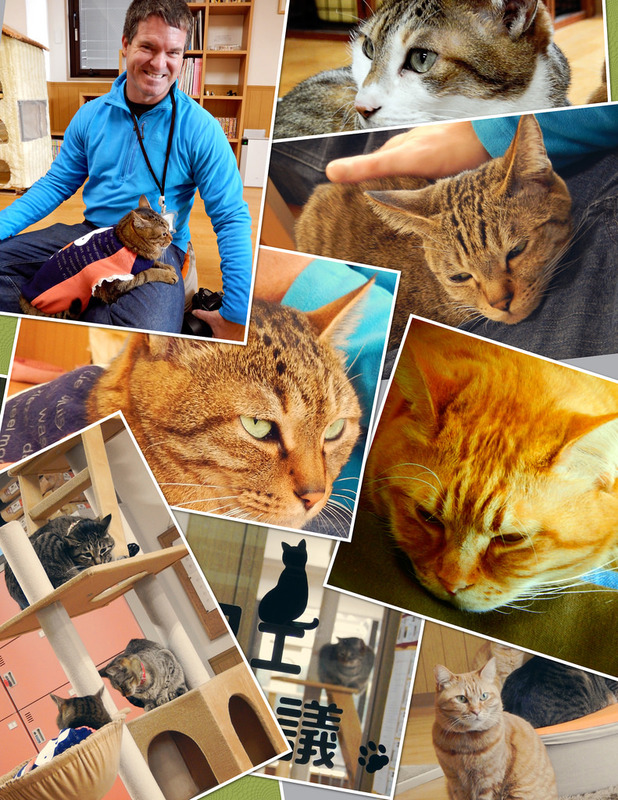 See Cat Cafes in Japan to read about the special bond between the Japanese and their feline friends. April 2014. White Day and Zip-Lining on Okinawa. 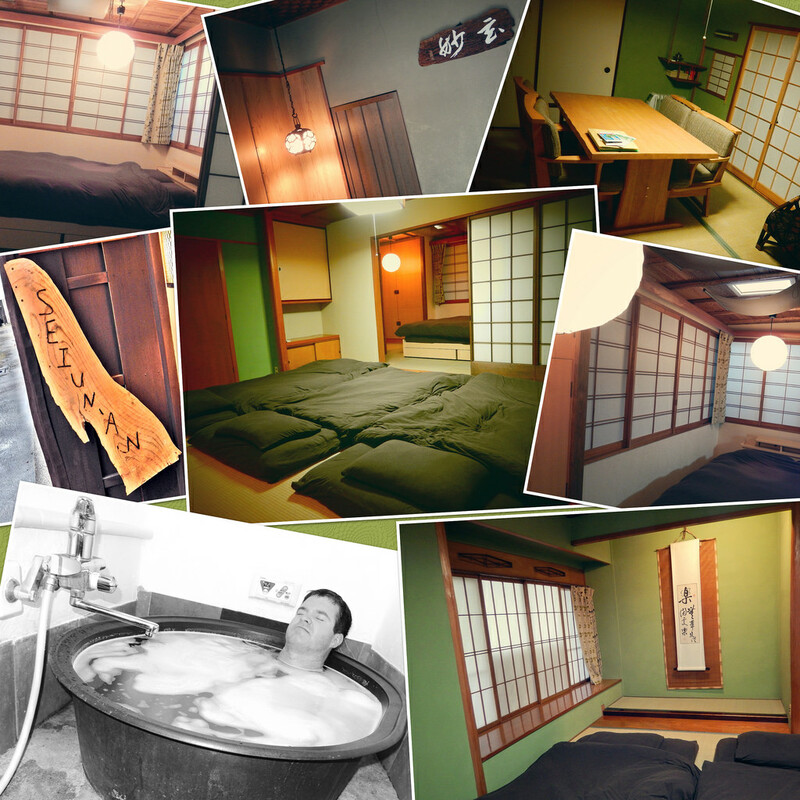 See Timeless Townhouse for our rustically historical stay in Kyoto, Japan. May 2014. Iriomote! Off-island weekend getaway to this remote nature preserve. 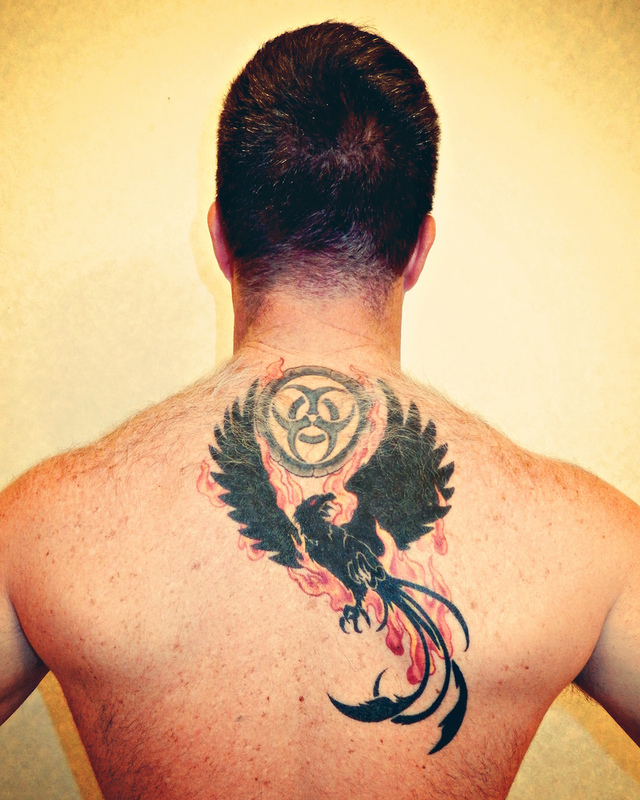 See Tainted by Tats to read about the stigma of body art in this corner of the Far East. June 2014. 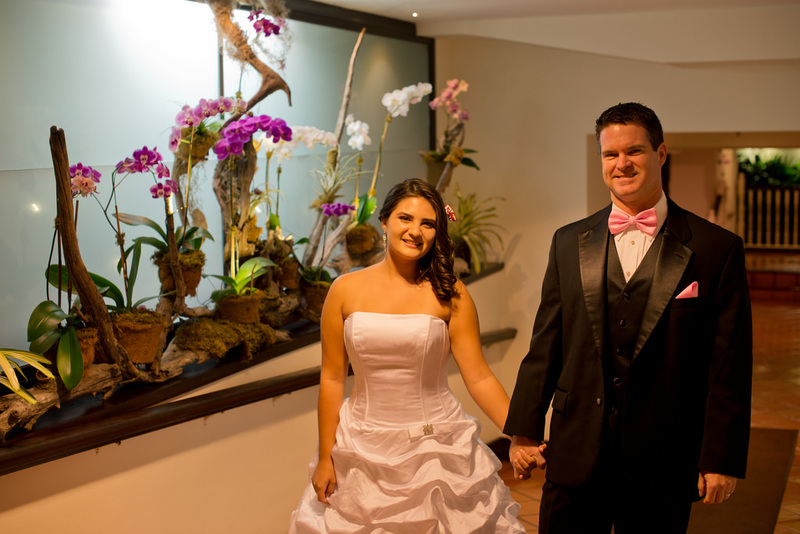 My daughter gets married! A whirlwind trip home to the states and detour because of an unexpected hospital stay. See Placenta: Prescription or Placebo to read about some strange herbal remedies popular in Japan. July 2014. Ishigaki! Off-island weekend getaway to dive with manta rays. 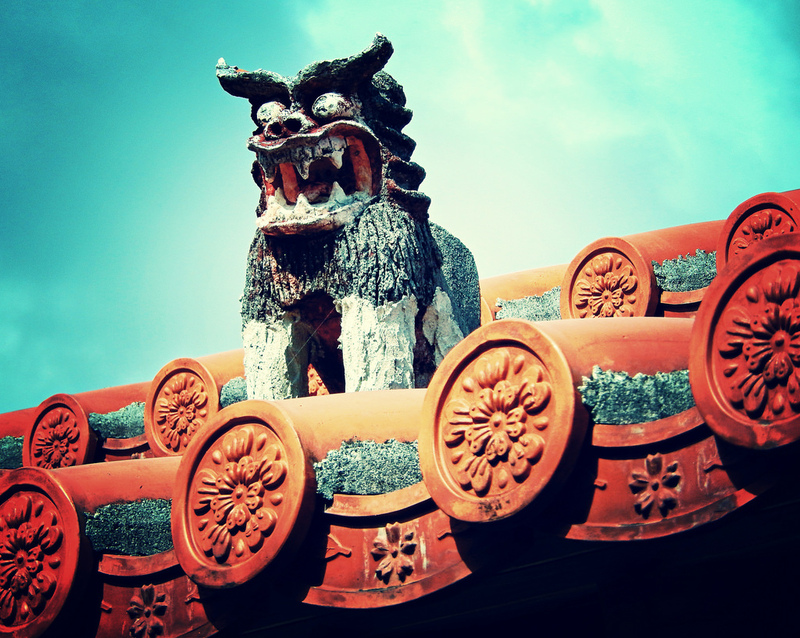 See The Cat-Dogs of Okinawa to read about the special guardians of the Ryukyu Islands. August 2014. 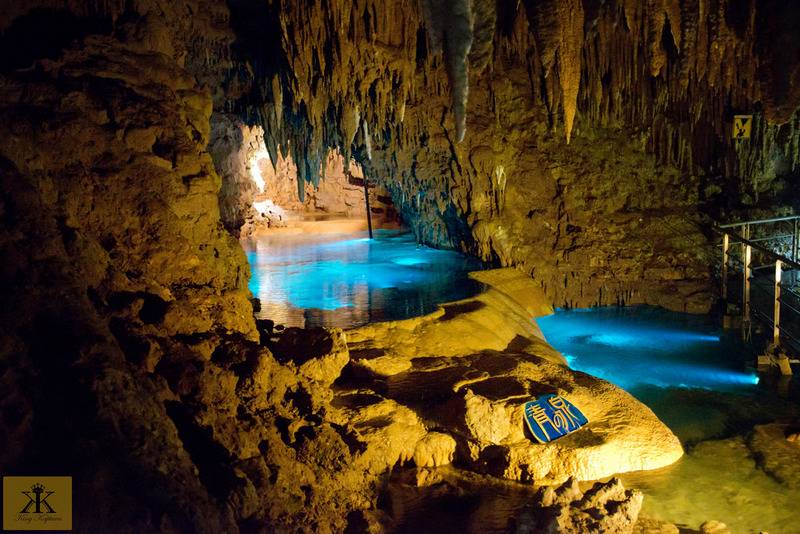 Okinawan World and Hospital Caves. 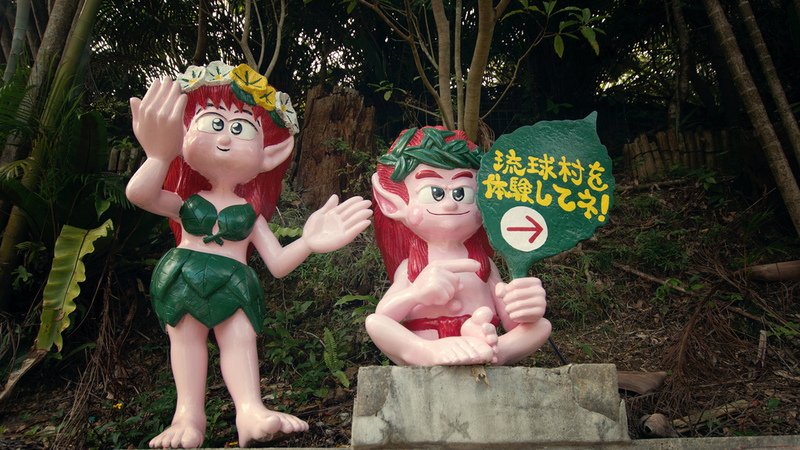 See Okinawan Hillsides & Hornets to read about my past explorations in the Okinawan jungles searching for traces of WWII. 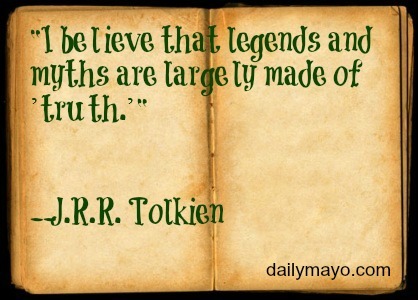 It’s indeed strange how myths East and West can and do converge. Take, for instance, the idea of the end of winter and beginning of spring, which for each direction, basically comes down to soybeans and shadows. 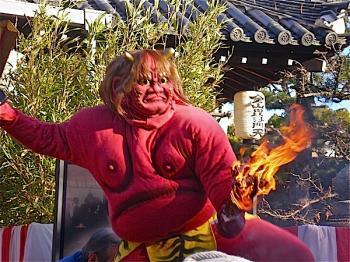 An Intimidating Ogre during Setsubun! Setsubun is a traditional Asian ceremony with origins from the Chou Dynasty of China (introduced to Japan in the 8th/9th centuries), designed to dispel demons at the end of winter/beginning of spring, and is usually observed on 3 February. 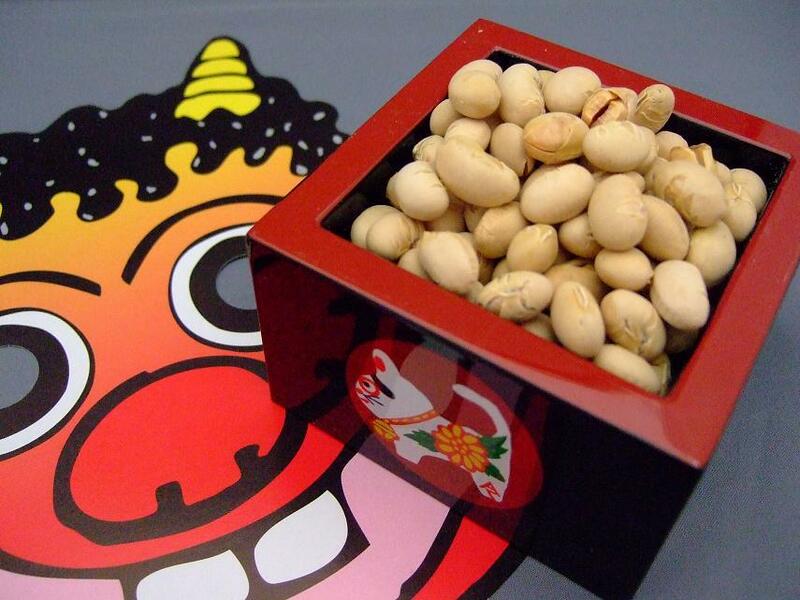 The practice of scattering roasted soybeans (豆撒き mamemaki) to drive away any malcontent demons that might have been lurking during the cold winter months is one of a number of magical rites performed to ward off evil in Japan. 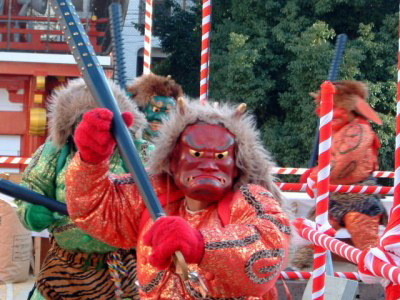 The term setsubun originally referred to the eve of the first day of any of the twenty-four divisions of the solar year known as setsu (節), but has come to be specifically applied to the last day of the setsu called daikan (大寒, “great cold”), which also corresponds to the eve of risshun (立春, “the first day of spring”), the New Year’s Day of the ancient lunar calendar and the traditional beginning of spring. 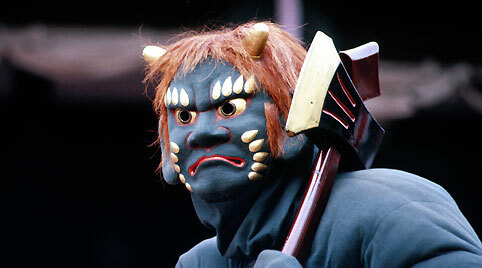 Since risshun and the traditional celebration of the New Year fell at about the same time, setsubun became associated with rites of purification and exorcism of evil deemed essential to preparing oneself for the coming year and the spring planting season. Mamemaki originally began as an imperial event, but later mixed with indigenous customs of throwing beans at the time of rice-seedling planting during the Edo period in Japan (1603-1867). 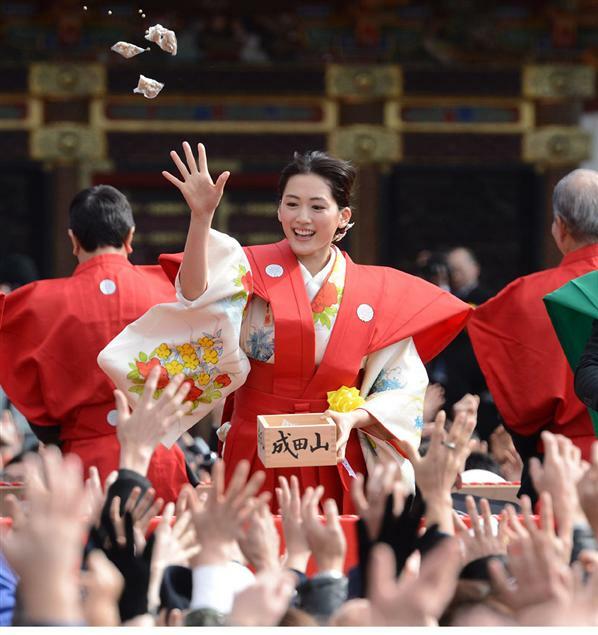 To this day, in many places in Japan, setsubun rites include those associated with forecasting the year’s crop and spells for a plentiful harvest. Sounds crazy and superstitious, right? But no more than our own Groundhog Day…. I choose not to depend on a rodent for the weather. 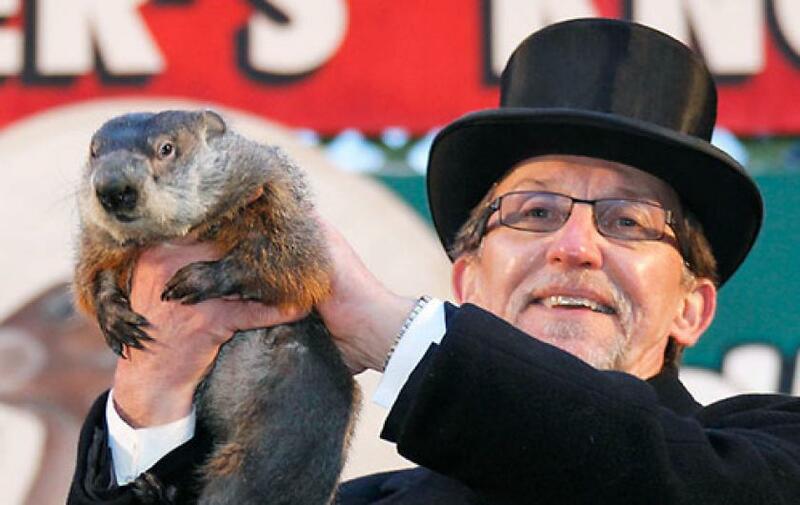 Groundhog Day, on the other hand, is celebrated on February 2nd, just one day apart from its counterpart in the East, and is to a harbinger of spring. 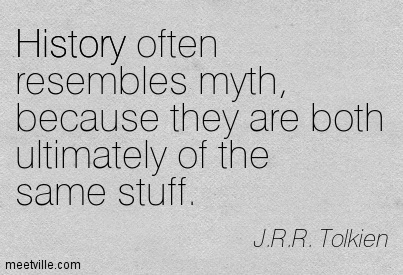 Amazing how ancient time-keepers managed to independently align these events based on the sun and moon! According to folklore, if it is cloudy when a gopher emerges from its burrow on this day, then spring will come early (he doesn’t see his shadow); if it is sunny, the gopher will supposedly see its shadow and retreat back into its burrow, and the winter weather will continue for six more weeks. 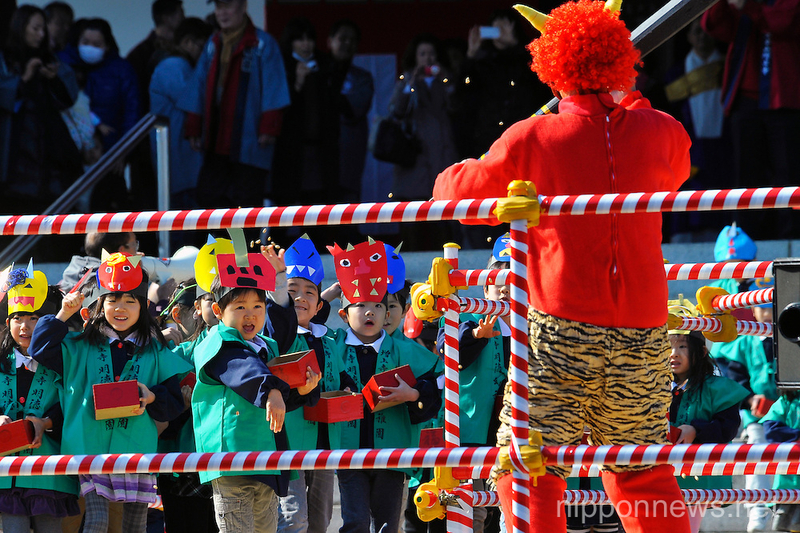 Given this tradition, setsubun seems not so silly, and, in fact, seems to be a lot more fun! Throwing things at masked demons seems a lot more fun than…say…top hats. 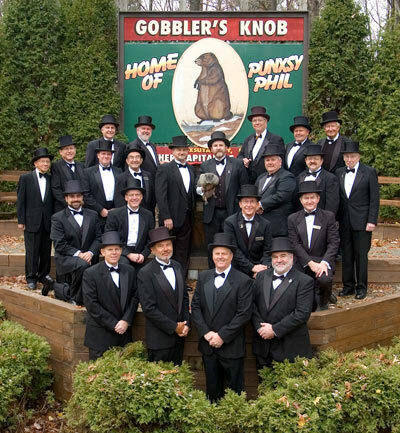 The celebration of Groundhog Day in America began as a Pennsylvania German custom in southeastern and central Pennsylvania in the 18th and 19th centuries, but it has origins much deeper into ancient European lore wherein a sacred badger or bear was used as the prognosticator of the weather, in preparation for the planting season…much like setsubun is tied to early farmers! By the way, it also bears (pun intended) similarities to the Pagan festival of Imbolc, the seasonal turning point of the Celtic calendar (lunar-based, just like that of China), which is celebrated on February 1 and also involves weather forecasting. So, spring this year – and each and every year – comes down to customs and traditions East and West: Soybeans and Shadows. But, if we take a step back and really look at culture, custom, tradition, and even religion, we can find many more similarities than differences. It seems that the human condition is inescapable; we all, ‘round the world, live around the same physics, share the truly international language of math, endure all the same trials and tribulations of life, and embrace very similar metaphysical wants, hopes and dreams. We all need to strive and remember that we all much more the same than we are ever different. 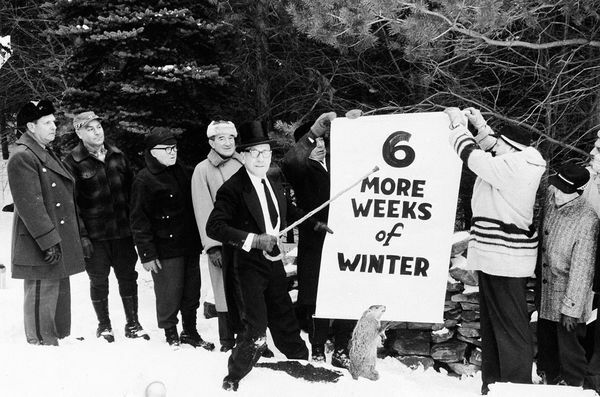 Punxsutawney Phil, however, seems to be accurate only 39% of the time since 1887 on the length of winter. I, for one, will embrace the myth of throwing soybeans to ward off evil rather than depend upon the myth of a shadow for the warmth of spring.